After an extended theatrical run in New York, Los Angeles and Atlanta, MAMA AFRICA: MIRIAM MAKEBA is screening all over the country from Honolulu to Florida! 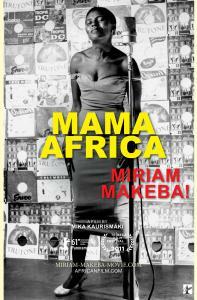 NEW YORK, NEW YORK, UNITED STATES, April 16, 2018 /EINPresswire.com/ -- MAMA AFRICA: MIRIAM MAKEBA by Mika Kaurismaki introduces to a new generation of Americans the world-famous South African singer Miriam Makeba and her legacy. Miriam Makeba (1932-2008) spent half a century travelling the world spreading her political message to fight racism, poverty and promote justice and peace. She fought for the oppressed most importantly for black Africans, as a campaigner against apartheid. She died November 2008 after a concert in Italy. Mika Kaurismaki's documentary, traces fifty years of her music and her performing life. 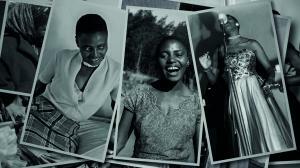 Through rare archive footage of her performances and through testimonies of her contemporaries and supporters including Harry Belafonte, Stokely Carmichael, Hugh Masekela, Paul Simon, Angélique Kidjo and many others - we discover Miriam Makeba’s remarkable journey. 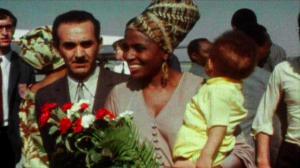 MAMA AFRICA: MIRIAM MAKEBA has received a 75% score on Rotten Tomatoes and 80% score from the public. Director: Mika Kaurismäki (Three Wise Men, The House Of Branching Love, Road North).